Polycrystalline CVD diamond has been long recognized as the ultimate material in a wide variety of applications due to its extreme qualities. Its unmatched hardness is needed for sophisticated tooling and machining processes worldwide. The high thermal conductivity of diamond has made it useful in thermal management applications. Its wide optical transmission range has allowed diamond windows to make their way into cutting edge future generation lithography systems for semiconductor manufacturing. In addition, its transparency in the microwave band has opened up an entire world of application development in microwave engineering. In its purest form, polycrystalline CVD diamond is free of electronic traps, making it an ideal material for ultra-sensitive nuclear detectors used in high energy applications. Grown through Plasma Chemical Vapor Deposition, II-VI diamond products have been optimized to leverage the qualities that make diamond a super material. Combining crystal growth with state of the art optical grade processing through shaping and polishing, quality assurance and coatings, II-VI Incorporated is the world’s leader in optical grade materials, as well as generating highly transparent microwave windows and the highest sensitivity diamond-based nuclear detectors. II-VI Incorporated’s strong dedication to research and development, including more than 50 combined years in diamond materials development, allows us to work closely with customers in all markets looking to leverage the amazing qualities of polycrystalline CVD diamond. Optical diamond is in large volume production, consistently producing material of premium optical quality (low 1μm scatter, low 10.6μm bulk absorption, low birefringence at 632.8nm) in a wide range of cross-sectional sizes and thicknesses. By leveraging core technologies both in fabrication and coating, II-VI has become the world leader in extreme UV optical diamond windows, which are essential for the next generation of advanced lithography tools for semiconductor manufacturing. Through tuning of our growth process, II-VI has the capability of generating polycrystalline CVD diamond for a variety of high performance temperature management applications. Specifications for thermal conductivity range up to more than 2200 W/m-K. Using our world class fabrication facility, we are able to create parts based on customer specifications with shapes as large as 145mm in diameter and thicknesses of up to 2mm and more that are ultra-flat and ultra-smooth to ensure optimum thermal contact to your device. 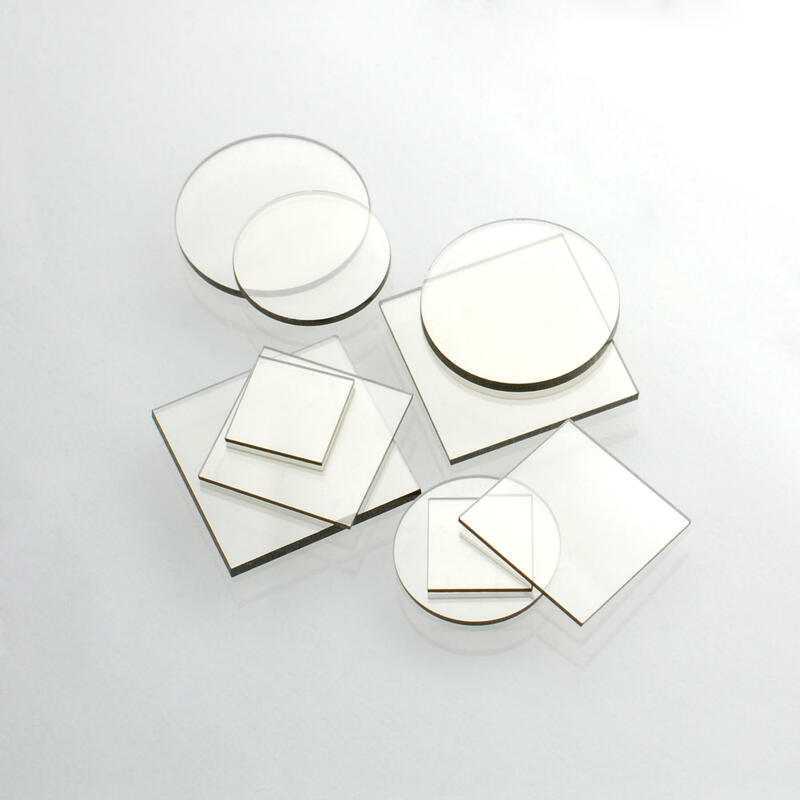 II-VI manufactures high quality diamond optical products that are transparent in the microwave region. Combining this with in-house capability to polish and coat windows and lenses at diameters as large as 145mm, II-VI is poised to meet the needs of microwave transparent materials in fields such as fusion research. II-VI has developed a diamond film that possesses exemplary hardness and wear rates when machining even the toughest materials. By combining our state of the art polishing and fabrication techniques with in-house laser fabrication facilities, we are able to generate a world-class product at competitive prices. Using a finely tuned, ultra-high purity growth process, II-VI grows polycrystalline diamond films exhibiting industry leading charge collection distances. Consistent results are obtained for 500µm thick finished parts. CVD diamond applications include multispectral laser optics, dielectric windows, heat sinks, and more. Diamond is the ultimate material for a wide variety of applications because of its outstanding properties, including extreme hardness and strength, high thermal conductivity, low thermal expansion, excellent dielectric properties, resistance to chemical attack, and optical transmission over a wide spectral range. We produces high-quality polycrystalline CVD diamond substrates in its state-of-the-art growth and fabrication facilities. The material is grown using a plasma-assisted chemical vapor deposition process, laser-cut to the required dimensions, and the surface is finished to the customer’s specification. Other special fabrication services are available, such as edge-grinding, laser-engraving, and optical assembly design and fabrication. II-VI specializes in advanced optical coatings for diamond substrates, including AR, HR, and TFP for single wavelength or multi-spectral applications. High-power multi-spectral laser windows for industrial or research applications. Products for mechanical applications requiring ultra-hard materials.